This Sunday, March 13, the first Sunday of Lent, Turner Classic Movies will feature films about one of the Catholic Church’s most popular saints, Joan of Arc. On Wednesday the 16th, TCM will honor the Museum of Modern Art’s film archive by screening 14 films representing its collection. Each of these tributes will include a film starring Jean Seberg and directed by Otto Preminger. While Saint Joan (1957) and Bonjour Tristesse (1958) rank somewhere in the mid-range of Preminger's body of work (which includes Laura, The Man With the Golden Arm and Anatomy of a Murder), they were Seberg’s first two films and significant for their influence on the evolution of her unconventional career. Preminger was riding high in 1956 when he announced that, a la David O. Selznick’s Gone with the Wind campaign, he was going to audition unknowns for the title role in his upcoming opus, an adaptation of the 1923 George Bernard Shaw play Saint Joan. 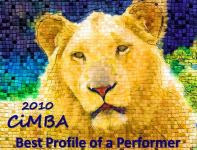 Enormous publicity accompanied his worldwide search and he auditioned thousands of candidates. In the end he made only three screen tests and selected an inexperienced American teenager over actresses Kelli Blaine of New York and Doreen Denning of Stockholm. ﻿For Seberg, the high point of her experience on Saint Joan may have been her fairytale discovery. Once filming began she found herself in the intimidating company of veteran actors such as Richard Widmark, John Gielgud, Anton Walbrook, Richard Todd and Finlay Currie. Gielgud, who was fond of her, noted that she barely knew the rudiments of acting but struggled mightily to find her way. Preminger did little to help. Notorious for mercilessly bullying actors (though not stars), he made no exception for his protégé. In the view of observers including Gielgud, the director endlessly berated her, crushing the very freshness and spontaneity that had attracted him in the first place. As if Preminger's behavior and the pressures of making her first film weren't enough, an accident on the set may have summed up Seberg's dilemma. The scene in which Joan of Arc was to be burned to death required that the actress be chained to a stake. During filming, as smoke and flames began to engulf her, Jean started to scream that she was actually burning. She was quickly rescued and not badly hurt but Preminger, who realized the mishap had been caught on film, was so pleased with "crowd reaction" that he told a reporter he might actually use the footage. Saint Joan was not well received, though Preminger's promotional fanfare had stirred up great interest and anticipation. Saul Bass's evocative title sequence (shown below) hints at the film's appeal. Perhaps its true potential was the moderate success of a well-intentioned presitige piece, but it failed with the mass audience to which it was promoted. The press criticized Preminger's direction and Grahame Greene's screenplay, but it was Jean Seberg who received scathing reviews and was widely blamed for the flop. Preminger's next project was already in the works by the time Saint Joan wrapped. And he planned, once again, to feature Jean Seberg in a starring role. ﻿In 1954, 19-year-old French writer Francioise Sagan created an international sensation with her racy first novel, Bonjour Tristesse. Preminger and Seberg's next film would be an adaptation of Sagan's bestseller. Seberg was to co-star with Deborah Kerr and David Niven as Niven's daughter, a spoiled café society brat. The melodramatic tale of dissipation and cruelty was primarily set and filmed on the French Riviera during the high season. And Preminger provided his company with the finest in accommodations and luxury extras. Nevertheless, Seberg was once more subjected to his volatile temperament. This time, though, one of her co-stars stood up to the director. Deborah Kerr challenged Preminger, telling him she could not tolerate his abusive treatment of the young actress. By the time filming was completed, Seberg was engaged to Francois Moreuil a French lawyer, and her collaboration with Preminger was about to come to an end. Bonjour Tristesse was set for release in January 1958 and, following the demise of Saint Joan, Seberg's career seemed to rest on the success or failure of her second film. In an interview at the time of Bonjour Tristesse's release, she was aggressively grilled on the subject... click here to view Jean Seberg's January 1958 interview with Mike Wallace. Bonjour Tristesse failed miserably when it was released, and both Preminger and Seberg were subjected to a drubbing in the press. Perhaps by this time the director had given up his dream of making her a star for he had no future plans to work with her and when Francoise Moreuil, by now Seberg's husband, approached him about selling her contract to Columbia, Preminger agreed. Within a year the studio cast her in The Mouse That Roared (1959), a popular Peter Sellers vehicle and, though a "small" film, it was Seberg's first success. Very soon Jean Seberg's career would undergo another unexpected twist. ﻿﻿﻿To begin with, and importantly, Bonjour Tristesse had been a critical success in France and Seberg had become a critics' darling there. Meanwhile, her French husband, Francoise Moreuil, happened to be connected to filmmakers/writers associated with the fabled French publication, Cahiers du Cinema - where both Saint Joan and Bonjour Tristesse were highly regarded and Seberg was revered. Soon the young actress was being pursued by about-to-become-legendary filmmaker Jean-Luc Godard to co-star in his first major feature, A Bout de Souffle...or Breathless (1960). Seberg was introduced to Godard by her husband. After much discussion between the actress and the auteur, a 12-page telegram from Godard to Moreuil and an affordable arrangement for all concerned, a deal was struck. Godard saw Seberg as an international name who could help his film succeed outside France, and Seberg was anxious to prove herself. To her good fortune, Godard was no bully and worked well with actresses, filming them to advantage. Another surprise for Seberg in working with Godard was his approach to the script. She might be given her lines on pieces of paper in the morning before a shoot or Godard might shout lines to her during a scene. Godard was experienced at writing dialogue and he was able to shout while shooting because the film was shot mute with sound and dialogue added later. But all of this was new to Seberg whose previous performances had been entirely controlled by the autocratic Preminger. No one on the project at the time realized Breathless would receive the level of acclaim or have the influence on cinema that it achieved. Hailed for its bold visual style and approach to editing, it became a pivotal film of the French New Wave. Jean Seberg became a legend along with the film and her co-star, Jean-Paul Belmondo. Her casual boyish chic and pixie haircut (predating Mia Farrow's famous 'do by many years) remain iconic today. She went on to make films in both Europe and the U.S., though her later American films were generally lackluster. Saint Joan is now appreciated as a sincere if uneven attempt to translate weighty Shaw to film and is generally viewed as an honorable effort. Bonjour Tristesse's popularity has improved dramatically since 1958. Frequently cited are visually striking scenes of grainy black and white that dissolve into stunning color as the story moves from present to past and back again. The film's themes, estrangement and excess among the rich and languid, are noted for anticipating those Fellini famously visited with La Dolce Vita a few years later. Jean Seberg's earliest performances have been assessed more fairly in recent years and many critics view her work far differently than her detractors of the 1950s. David Thomson has called her Saint Joan "a shrewd and touching fusion of provincial America, rural France, and Shaw's notion of a fustian saint picking logic with kings and bishops." He has deemed her portrayal in Bonjour Tristesse "marvelous" and praised her self-possession and maturity. Preminger may have turned out great movies, but he was certainly a cruel bully. To encourage and build up hopes for an inexperienced teenager in taking on the part of Shaw's St. Joan was ridiculous in the first place. To treat her the way he did was unconscionable. I guess I feel strongly about that since Jean was psychogically fragile and her life was difficult and tragic. St. Joan of Arc has always been my patron saint, and I have read many books and seen many movies about her. I didn't think Sebring was horrible, just young and untrained. I wish one of those powerful actors had taken up for her the way Deborah Kerr did -- good for her! 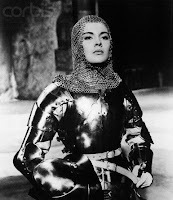 The best movies about Joan I think are Ingrid Bergman's version, and the silent Passion of Joan of Arc. I saw a re-release of Breathless when I was about 17, and had already seen one of Bonjour Tristesse. I was just the right age and frame of mind to love these movies, Breathless in particular. Wonderful review of an actress who had more impact on movies than she probably ever realized. I have always tried to like JEAN SEBERG, but she has ruined basically every movie she has been in...including BREATHLESS, with her high school french...maybe she was OK in PAINT YOUR WAGON...but that is not saying much...p.s. I have had this opinion for years...if you do not believe me , se BIRDS INPERU!!!!!!! Becky - One of my sources was "Otto Preminger: The Man Who Would be King" and included was an interview with Keir Dullea who talked about what he endured from Preminger while making "Bunny Lake is Missing." Apparently Preminger also gave Carol Lynley a rough time - but not Olivier (who tried to intervene). Bio included other such stories. Other sources - Godard bio: "A Portrait of the Artist at 70," the NY Times and a 1979 LA Times "Calendar" spread on Seberg just after her death. Dorian - Preminger's treatment of Jean Seberg seems to have been par-for-the-course for him in terms of how he treated actors who were not yet top-billed. What Keir Dullea and Seberg and others went through seems to have been public humiliation. On the other hand, it seems he had been more benevolent on "Anatomy of a Murder," not particularly harassing the newer talent (Geo. C. Scott, Remick and Gazzara). Unsettling marginalia from Preminger's bio ("The Man Who Would be King")...three of his leading ladies committed suicide: Dorothy Dandridge ("Carmen Jones" and "Porgy & Bess" - with whom he was involved), Maggie McNamara ("The Moon is Blue") and Seberg. Wow, great article on one of my favorite film icons. Thanks for linking to that interview, it was fascinating to watch. I wish they still grilled stars like this today. Eve, great article. Preminger could be a total jerk when he wanted to be. It always strikes me how often he would look for a "discovery" and then treat them like dirt, but when he was dealing with the likes of Jimmy Stewart or Robert Mitchum he would treat them like they were his best buds. Why would he expect an unexperienced actor/actress to perform like a seasoned pro? Nonsense! Thank goodness Deb Kerr had some backbone and stood up for poor Seberg, or she might have killed herself 20 years earlier than she did. Also, it's always refreshing to hear how well Godard worked with actors. He might be crazy and EXTREMELY bad with money, but he was never looking for perfection. And, a note on what Doc said about her French in Breathless...I'm pretty sure she was playing an American in France, so it makes sense her French wasn't pristine. Not picking a fight...just pointing out a reason why it makes sense her French was a bit weak. And Kim - completely agree with your comments on Preminger. Seems he could only browbeat those without clout, which I find cowardly. Btw, Olivier also stood up to him on "Bunny Lake" for Keir Dullea and Carol Lynley. Terrific article Eve on Seberg. 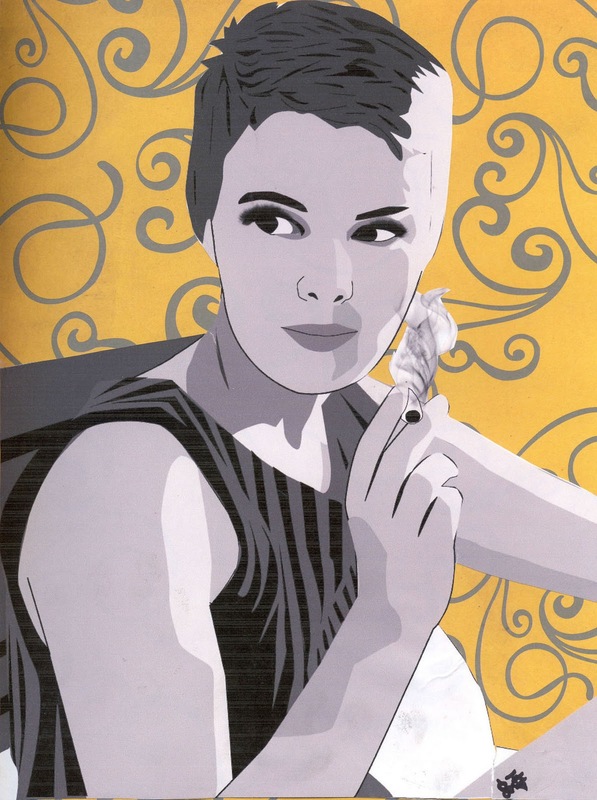 Thought she was most impressive in "Breathless" obviously her best film. Have not seen her two films with Preminger, and saw "The Mouse That Roared" too many years ago to comment, but most of her output that I have seen was pretty mediocre at best, "Paint Your Wagon," "Birds in Peru," "Macho Callahan" and "Moment to Moment" to name a few. A couple of interesting failures like "A Fine Madness" and "Lilith." She was a beautiful but troubled, sensitive soul. Seberg was perfect in "Breathless" which was a very important, trailblazing film. Goddard, unlike Preminger, was not a control freak - he was looking for the spontaneous moment and was able to discover within Seberg the qualities of sensitivity and sensuality that probably attracted Preminger in the first place. Its the Jean Seberg of "Breathless" that will live on in people's memories - that's where she made her mark. Eve, I read your excellent tribute to Jean Seberg yesterday morning, but I wanted to wait until I had seen SAINT JOAN before commenting. The first thing that came to mind when reading your post was just how young actresses such as Danielle Darrieux and Jean Seberg were when beginning their careers. However, unlike Danielle who began in juvenile roles, Jean began with (perhaps) one of the most challenging roles ever written for an actress. I found that despite her youth and inexperience, Jean’s portrait of Joan of Arc was an admirable and intriguing one. You mentioned Saul Bass’s evocative title sequence, which first drew me into the film, and the performances of Gielgud, Walbrook and Widmark complimented Shaw’s take on this absorbing life story. I’m looking forward to seeing Jean in BONJOUR TRISTESSE, which I haven’t seen in years (the image of her at the top of the page is lovely). I knew Preminger had a reputation as a bully and a thug, but I didn't realize he directed this at his most inexperienced cast members. Your background information on the film and Deborah Kerr’s empathy for Jean on set, confirms Ms. Kerr was a lady of grace and integrity (good for her!). Well, I just saw Saint Joan for the first time, and I thought Jean Seberg was great. The whole movie was excellent.